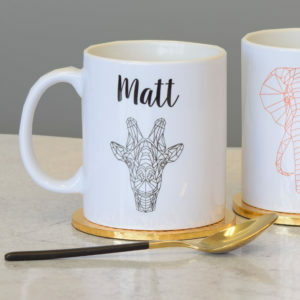 Find something unique and personalised this Father’s Day. Whether you have a dad chef who loves to cook, a gardener dad with a green thumb, a father who enjoys DIY, a golf crazy dad, an uber organised office dad, a sporty dad or a laid-back dad we have it covered. 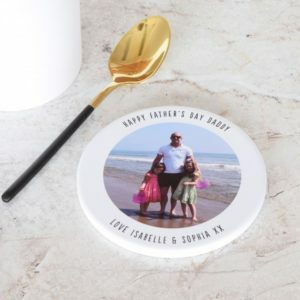 Browse our great gifts to get your dad this Father’s Day by clicking on the link below. 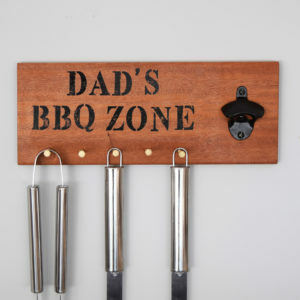 Our wooden personalised tool hangers and tool rack for sheds are perfect gifts for gardener dad or gifts for dad who loves to grill. Best of all they can be personalised with your chosen words on the board. 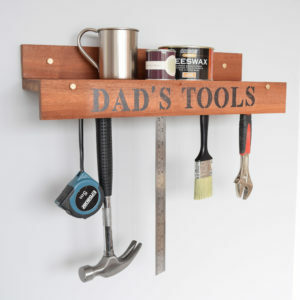 Our wood tool hanger makes an ideal present for diy dad. Get your diy enthusiast a one of a kind gift to hang his tools. Personalise it with your own wording. 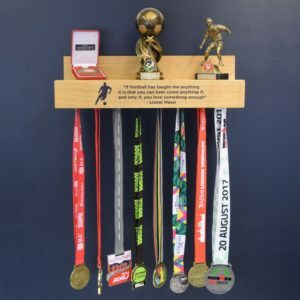 Our wooden medal hangers and personalised trophy shelf are ideal for the athletic dad. 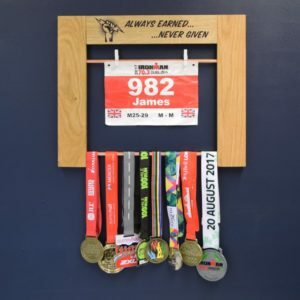 They can be personalised and make unusual gifts for marathon runners to hang their medals or trophies or for the overachiever who is great at any sport! 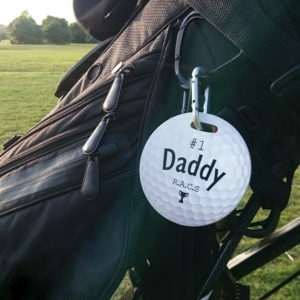 Perfect for someone who enjoys golfing our best gift for golfer dad is the personalised golf bag tag. You can ensure your dad will never loose his prized golf clubs. 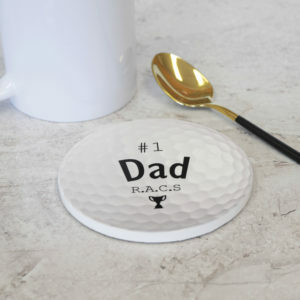 Alternatively, you can give your father a golf coaster or some golfer socks. 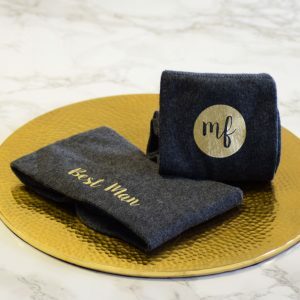 Ideal gifts for any personality our personalised mugs, personalised photo coaster and personalised mens socks are sure to be liked by any dad. 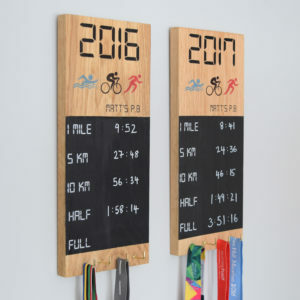 This entry was posted in Personalised Gifts, Home Decor and tagged diy tool hanger, gift ideas for dad, personalised gifts, personalised, personalised medal board, gifts for athletes, gifts for marathon runners, coasters, ceramic, socks, cotton socks, mugs, golf bag tags, golf on 18th May 2018 by admin. Looking for a way to say thanks? Or are you searching for a gift for your mum or dad for upcoming Mother’s Day and Father’s Day? 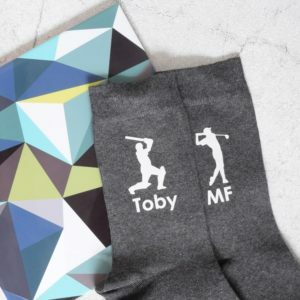 Our metallic socks make a delightful gift for that one of a kind person in your life and for that lovely someone that has helped you in some way. 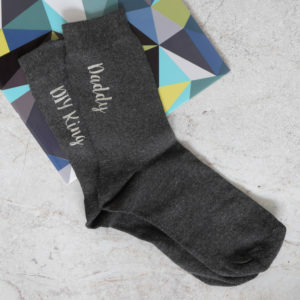 These handsome pair of unisex socks come personalised with your choice of message and initials so you can get as creative or as cheeky as you like. They come with an option for initials one one and a message of your choice in the other with a metallic finish. As they are made from 100% cotton you can be confident of their comfort and quality. So why not share the love & blow their socks off! To find out more just click on the photo below. This entry was posted in Personalised Gifts and tagged personalised gifts, personalised, socks, cotton socks on 10th March 2017 by admin.